UPDATE! This post was originally published on February 25, 2014. The post below reveals the amazing technology that is helping linguists rediscover languages from our past that were lost long ago. Specifically, it discusses the discovery of a Proto-Indo-European language that was spoken over 6,000 years ago. Today’s update is about saving a language before it becomes extinct. Some young people in Louisiana, United States, are fighting to preserve the language of their people, a little known Native American tribe called the Houma. The Houma have existed in Central Louisiana for over 300 years. They were peaceful farmers, fisherman and trappers who lived entirely off the land and migrated to new areas when their lands were repeatedly encroached upon. As plantations, land developers and eventually large oil and gas companies moved into the area, the Houma were gradually displaced. Some moved into the cities while most banded together in small, remote communities. They are hoping that resurrecting the language will allow the Houma nation to finally attain federal recognition and help to continue the restoration of the Houma culture. From modern day recapturing of the Houma language to the computer-generated linguistics of the Proto-Indo-European spoken 6,000 years ago, people are rediscovering the past through the words of the ancients. See how technology is helping…and listen to the amazing recreation described below. Language is a defining characteristic of a people. Indeed, words are imbued not only with meaning but with a lineage all their own. They are embedded with clues to their past—how a people lived, what they valued, how they worshipped and what bound them as a culture. Once the last speaker of a language passes on, we lose an immeasurably important piece of our collective past. 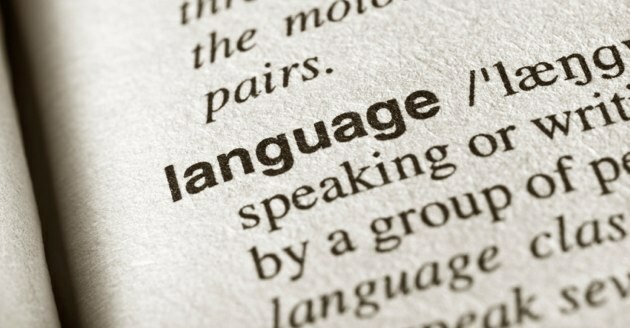 It has happened thousands of times throughout history as languages rise and fall, morph and meld. Thankfully, technology is allowing us to record and save some of these sounds before they disappear. Linguists are helping us to rediscover the languages of our past in order to preserve them for the future, as for example, with the Proto-Indo-European (PIE) language spoken some 6,000 years ago. Today, incredibly, we can just sit in front of our computers to listen to the actual sounds of a dramatic reading in this ancient tongue. …Bouchard-Côté fed words from 637 Austronesian languages (spoken in Indonesia, Madagascar, the Philippines, Papua New Guinea, Malaysia and more) into the new algorithm, and the system came up with a list of what the ancestor words of all those languages would have sounded like. In more than 85 percent of cases, the automated reconstruction came within one character of the ancestor word commonly accepted as true by linguists. The “functional load hypothesis,” the basis of the research described by Bouchard-Côté, says that “sounds that are more important for distinguishing two words are less likely to change over time.” A similar test of the hypothesis conducted in 1967 was only able to use four languages, while as we see, Bouchard-Côté and his colleagues looked at 637. According to Bouchard-Côté, this process doesn’t replace linguists, but instead offers exponentially more research opportunities given the large-scale data made available through computer analysis. They lived in a climate that included snow. They practiced a polytheistic religion in which they worshipped djḗus patḗr and an earth god. They domesticated cattle and horses, living both a pastoral and semi-nomadic existence. They were a patrilineal society. They had carts with solid wheels, but not spoked wheels. In 1868, German linguist August Schleicher used reconstructed Proto-Indo-European vocabulary to create a fable in order to produce some approximation of PIE. 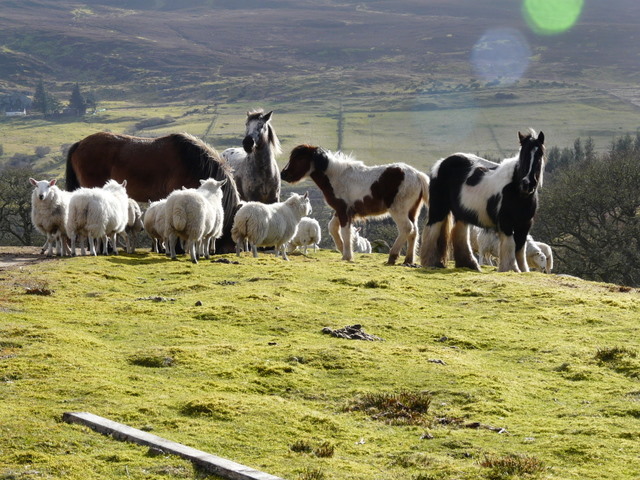 Called “The Sheep and the Horses,” and also known today as Schleicher’s Fable, the short parable tells the story of a shorn sheep who encounters a group of unpleasant horses. As linguists have continued to discover more about PIE, this sonic experiment continues and the fable is periodically updated to reflect the most current understanding of how this extinct language would have sounded when it was spoken some six thousand years ago. Since there is considerable disagreement among scholars about PIE, no one version can be considered definitive. Click on the image below to listen to Kentucky linguist Andrew Byrd’s reading of the fable. Guarino, M. (2015, January 3). Young members of Louisiana’s Houma Nation try to reclaim tribe’s lost language. Retrieved January 5, 2015. Freeman, D. (n.d.). Ancient Language Computer Program Recreates Sound Of Dead Tongues, Scientists Say. Retrieved January 8, 2015. Beckwith, Christopher. Empires of the Silk Road: A History of Central Eurasia from th e Bronze Age to the Present, 2011. This entry was posted in Art, Blog, Communications, Computer Technology, Culture, Engineering, Public Life, Science and Technology and tagged ancient history, AntiquityNOW, Eurasia, language, linguist, Native American languages, Native American tribes Louisiana, Proto-Indo-European, The Sheep and The Horses, translation, United Houma Nation. Bookmark the permalink. Very interesting to hear my ancestors language.